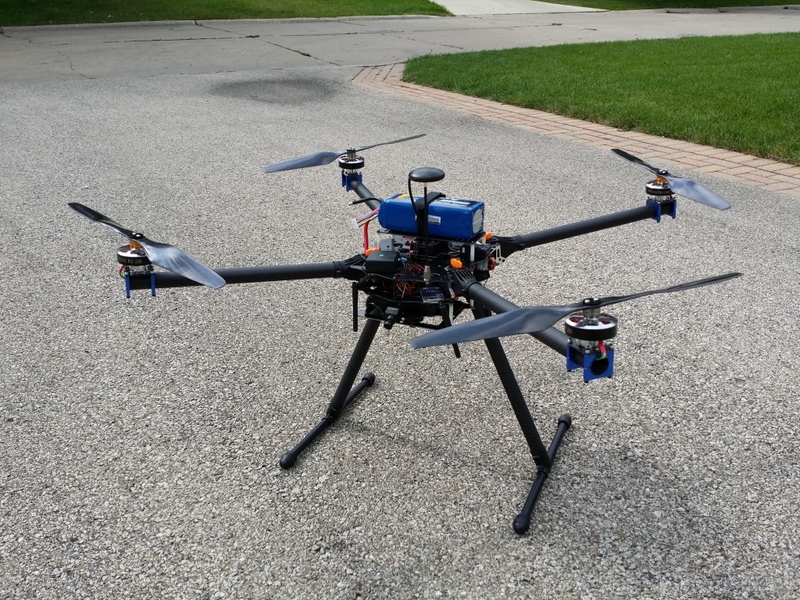 UAV/RPV Projects | Eagles View Aerial L.L.C. 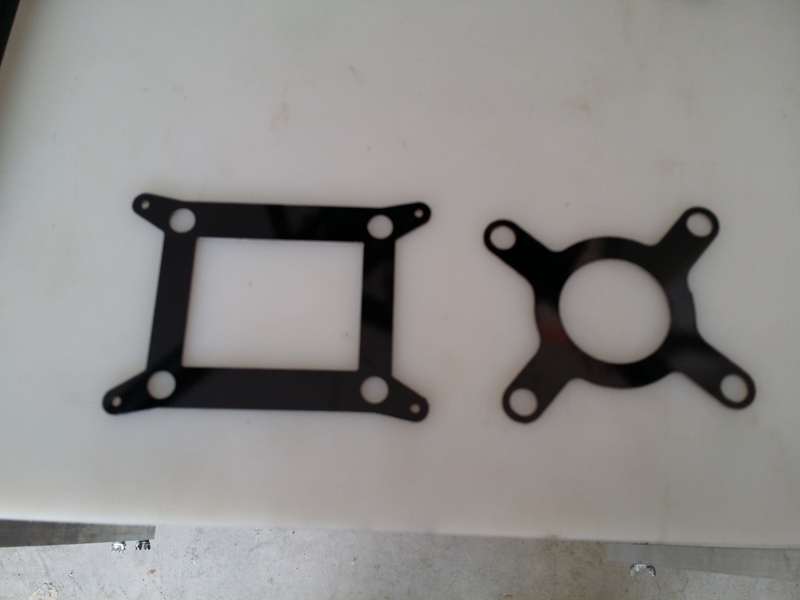 I’ve had to rapidly design and manufacture a few parts as shown in some of the pics below including a battery tray, flight controller tray, updated full floating mounts for the Tetracam ADC Lite cam (for NDVI imaging), and a new full floating mount for the ICI 9640 microbolometer thermal cam. I also got the camera triggers integrated so that both the Tetracam ADC (NDVI) and Thermal Cams trigger at the same time each getting their own geotag. 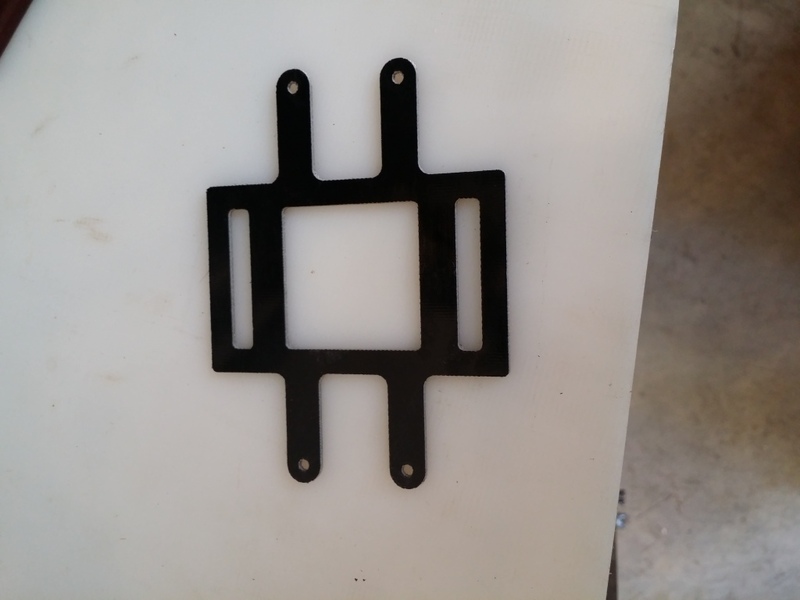 This is a pic of the finished custom power distribution board, it provides just over 25volts at up to 120amps of power to 4 electronic speed controls driving the propeller motors. It also includes two voltage regulators to provide 12v and 5v sources to the electronics. 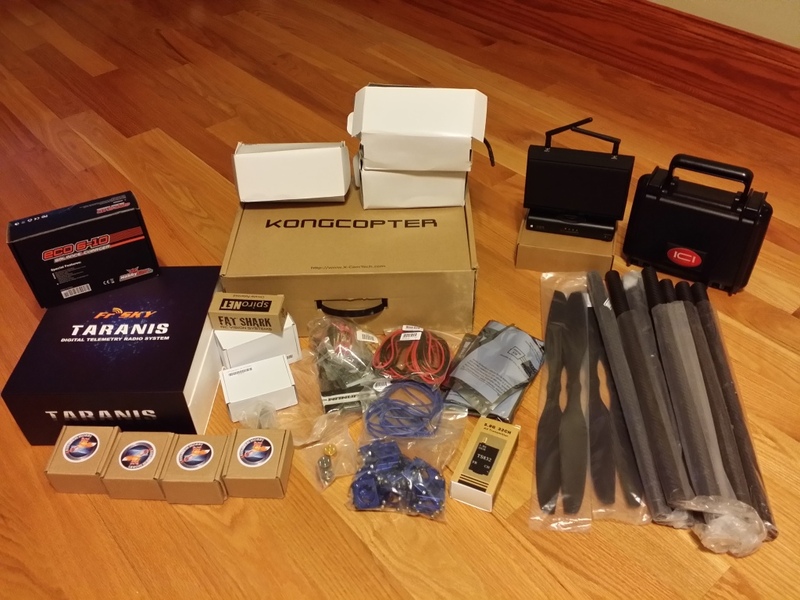 The battery connector on the left includes a specific power regulator for the flight controller and there is a 6 pin wire connector that powers the Flight controller as well as providing it and the telemetry system live voltage and current draw data. 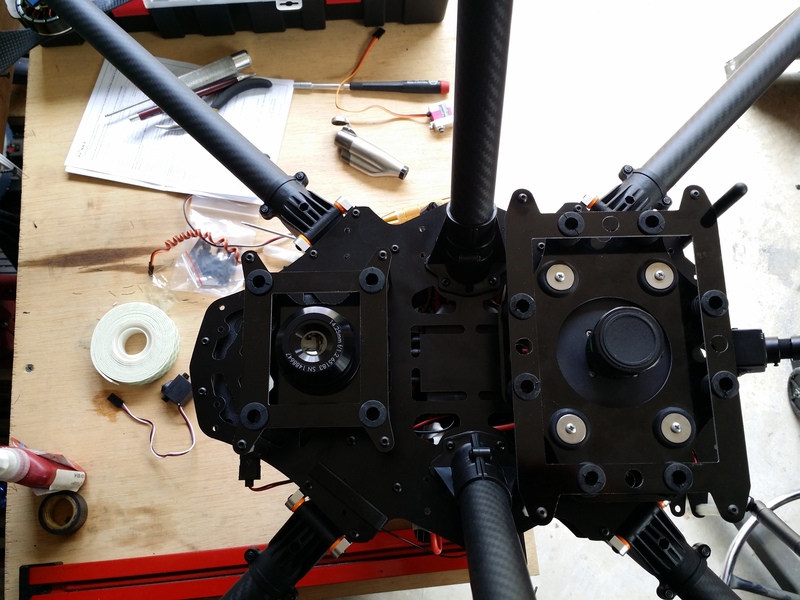 This picture is of the flight controller mount. 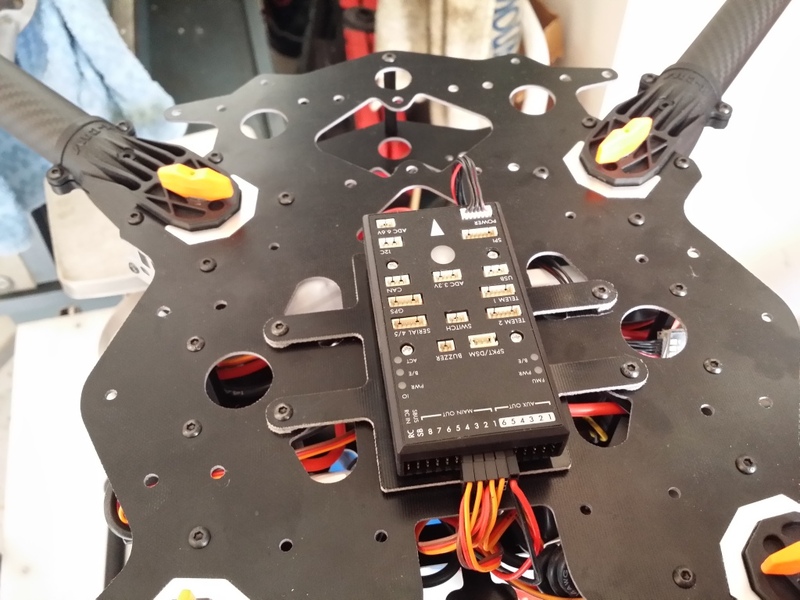 Useful to have a separate mounting plate for the flight controller which needs to be mounted to the frame using special vibration dampening foam/gel. Instead of having to remove and replace that foam/gel, this allows the FC to be unscrewed and replaced in the exact same spot for maintenance without requiring recalibration each time. 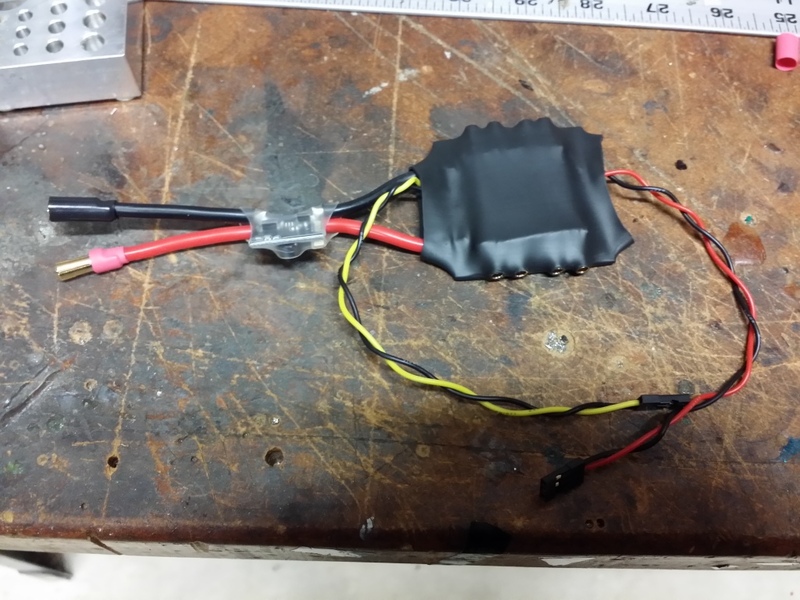 Also had to cut a battery tray for carrying the large Lipo pack to run the beast. 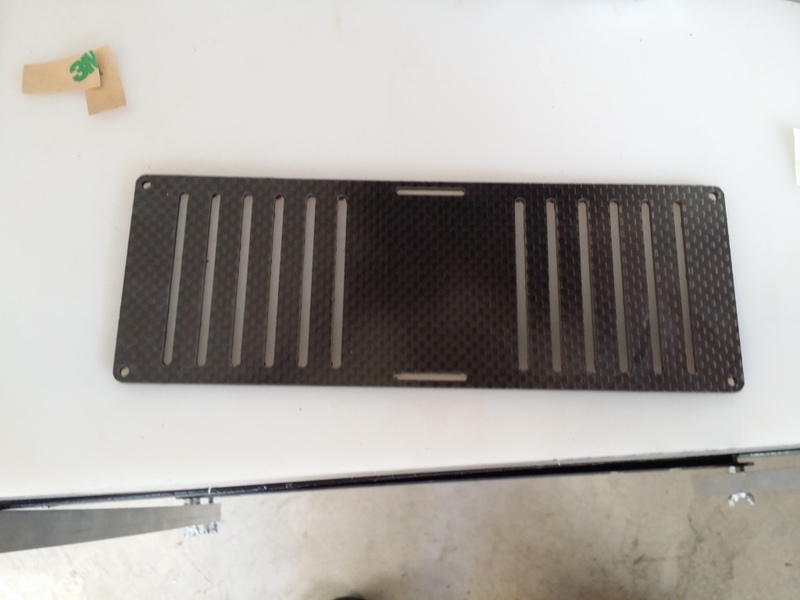 This one was cut in Carbon Fiber instead of G10 material like above because the plate is long and needed the additional strength of thicker more flex resistant material to hold a heavy battery brick. 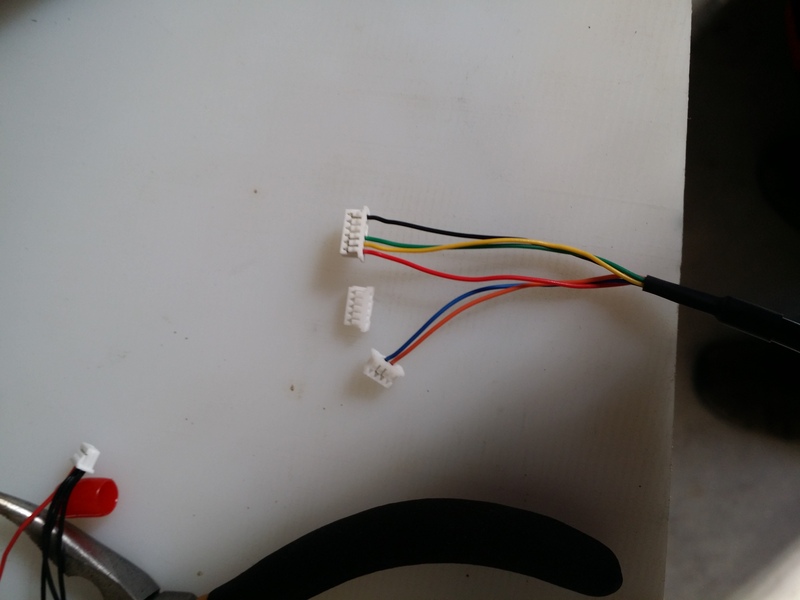 There are also lots of tiny connectors and wiring harnesses to change out, customize and rewire. Here’s an example from the GPS/Magnetometer unit. 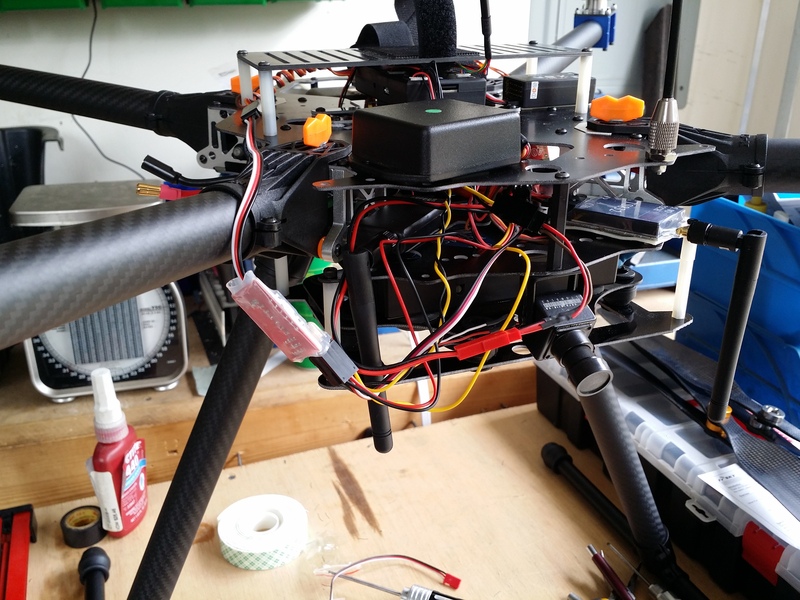 Here’s an example of the spaghetti wiring hidden within the frame, testing out the video switch which allows the user on the ground to switch between the live downlink feed from all 3 cameras on board to view on the ground. 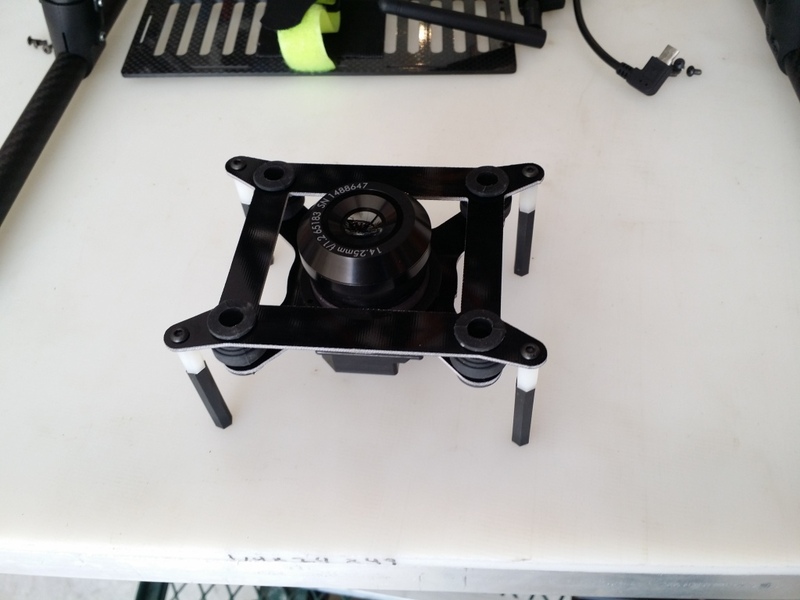 Also had to design and machine out a full floating dampener mount for the thermal camera that will be mounted in addition to the Multispectral cam. Here’s the Tetracam ADC and ICI 9640 cameras mounted up on full float dampening under the rig. 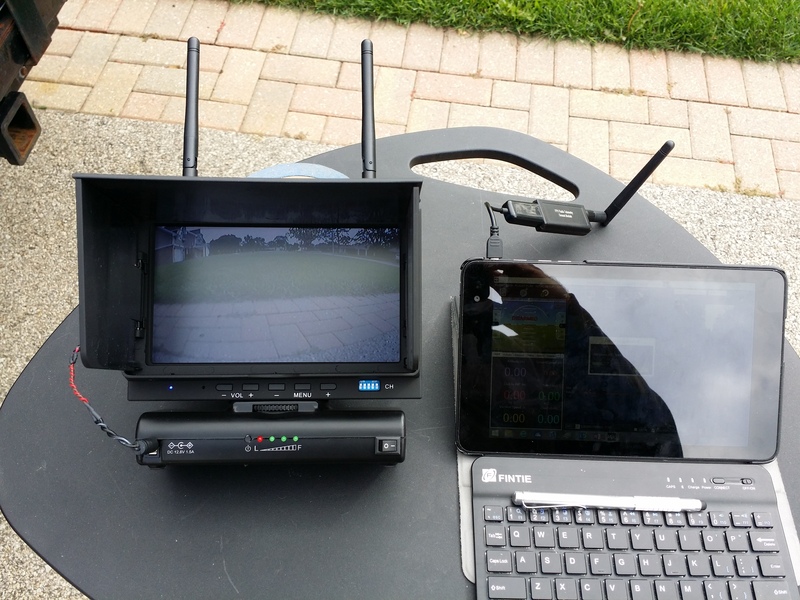 Live video downlink and telemetry on my Windows 8 Tablet in the front yard, getting ready for flight test.